Cape SALI Selected Supplier of the Year Award (2016). 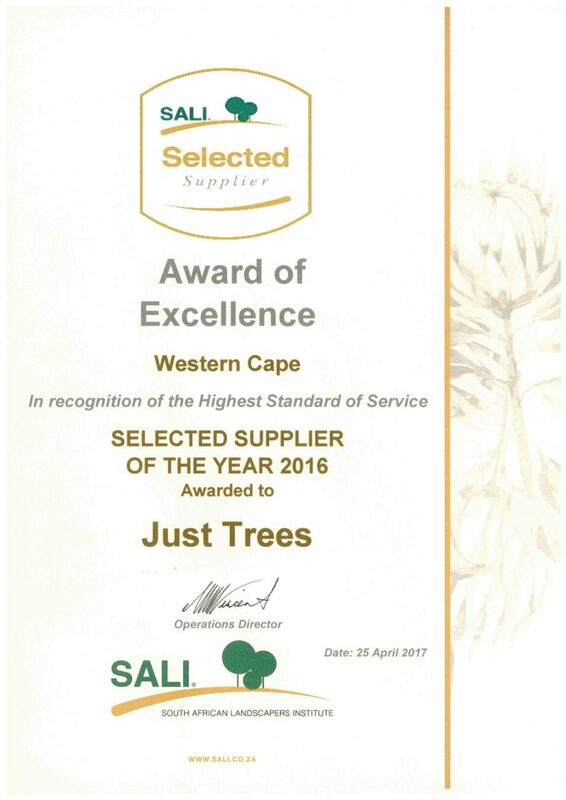 Treeification > Nursery News > Cape SALI Selected Supplier of the Year Award (2016). 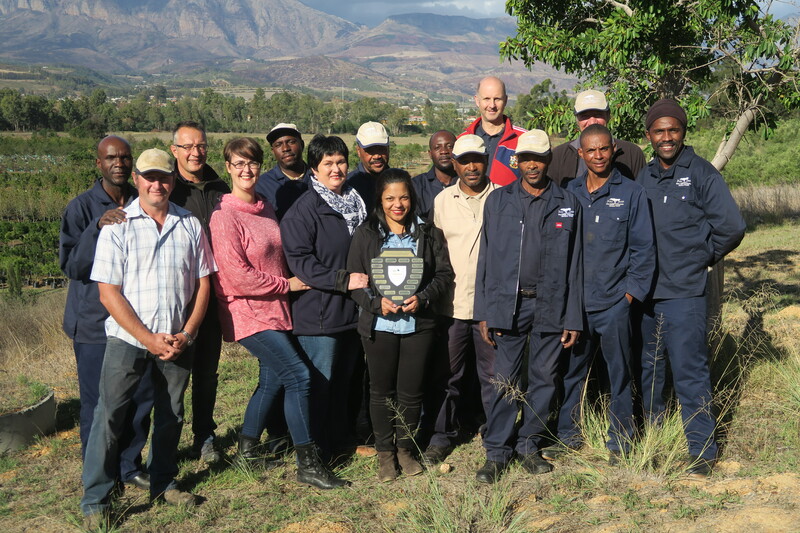 In 2010, South African Landscapers Institute (SALI) introduced the Cape SALI Selected Supplier of the Year Award. By inviting their Principal Members to select and nominate their top three selected suppliers, SALI not only recognises the quality service, hard work and reliability of various suppliers to the South African landscaping industry, but also contributes to the industry by informing landscapers operating in South Africa of top-notch suppliers and resources. In 2012 and 2013, Just Trees was the recipient and once again, we have received this award for 2016. We are honoured to have been nominated and chosen as the recipient of this award and strive to continue providing the best possible service and with top quality trees to the landscaping industry in South Africa. Below you’ll see a picture of the Just Trees team with the trophy, but that’s not the only thing we’re smiling about… We truly appreciate the opportunity to work together in such a wonderful team and in such a wonderful place. We’re sure that our clients and colleagues can agree that no matter how you look at it, being a part of the process whereby trees are planted and grown in our country is always a rewarding experience! Just Trees has been providing trees to landscapers for over ten years. Aside from providing excellent service and insisting on delivering the best quality trees possible, a core feature of our company’s culture is giving back, both to our community and our environment. We have been carbon neutral certified since 2009 and continue to seek new ways of making as little impact on the environment as possible. We are also involved in a number of community projects and we donate 1 in 5 trees that we sell. You can read more about what we do at our website and to find out more about SALI and what they do, visit their website.